Redmi Note 5 is launched by the company as the successor of Redmi Note 4. Redmi Note 4 was sold in a huge number and left a footprint of Xiaomi on the world map. Redmi Note 5 is designed with superior specs which give a seamless user experience. Redmi Note 5 was launched on February 2018, and since then, 5 million Redmi Note 5 series handsets have been sold in India. Redmi Note 5 has a lot of expectations to meet after the success of Redmi Note 4. Redmi Note 5 is equipped with a rear camera capturing in 12 megapixels, and a front-facing camera of 5 MP. There is a significant AI feature embedded in the front camera called Beautify 4.0. It adjusts the camera based on the conditions and captures a high-quality image. The front camera is also assisted by a LED Selfie-light which helps in capturing gorgeous selfies even in low-light. Coming to the display of the phone, the screen is a 5.99-inch with a bezel-less display. It has an aspect ratio of 18:9 and comes with two variants for the internal storage and RAM. One of the variants supports 32GB with 3GB RAM whereas the other supports 64GB with 4GB RAM. Redmi Note 5 is clocked at 2GHz. This is achieved by the octa-core Snapdragon 625 processor. One of the flaws in Note 5 is that it does not run the latest Android Oreo. The OS on it is the now old Android 7.1.0. New features such as picture-in-picture mode, App shortcuts, etc. are lacked by the new MIUI 9. It does feature a large 4000mAh battery, but one that may quickly lose its life over time. 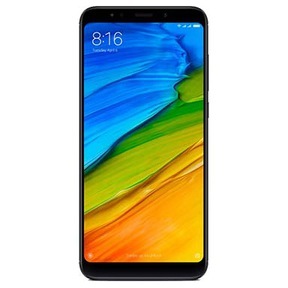 Why Sell Your Old Redmi Note 5 On Cashify? If you wish to sell your used Redmi Note 5, you can opt to sell it via Cashify. Cashify offers you the best prices for your used device. More importantly, it is reliable and transparent. A Redmi Note 5 can be sold via Cashify and refurbished and sold to the retailers who wish to sell the second-hand gadgets. The Redmi Note 5 is easily sellable because of its specs and trendy looks. If you do not want to go through the hassle of selling the phone via other mediums, you can log on to the Cashify website or download their app, mention the condition of your Note 5 device, and request for a free pickup. The algorithm used by Cashify transparently generates a quote based on the condition of the device. Once you are satisfied with the quote, ask for a pickup from your doorstep. The Cashify agent will then pick up the device and pay you the best price you’ll get for your Note 5. 2. Search for the Redmi Note 5, and share the condition of your device.